Input text: the field backdrop. the shadow plane. a beach ball is 8 feet behind and right of the clown. it is facing back. a small beach ball is 1 foot above the clown. it is leaning left. 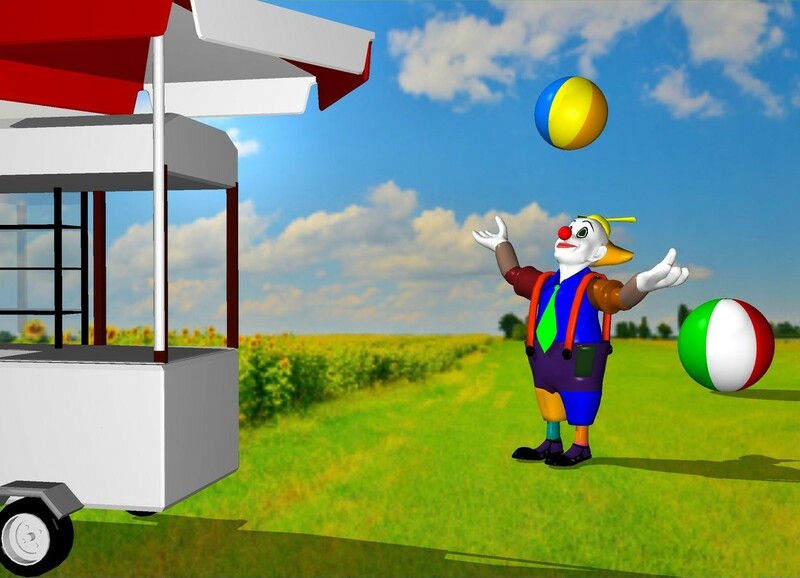 a hotdog stand is 3 feet in front of the clown. it is -1 foot left of the clown. the clown is facing the stand. Makes me wish for spring already!